"Tony and Elizabeth Jordan have a big house, a beautiful daughter, and plenty of money. Despite their apparent success, they face a strained marriage. Tony, a pharmaceutical salesman, is almost never there for his daughter, Danielle; has been verbally abusive with Elizabeth; and has thoughts about cheating on his wife with other women he has been looking at. Before its official nationwide release on August 28, 2015, War Room made an estimated $600,000 from Thursday night shows, which began at 7 p.m. in 1,017 theaters. On its opening day, the film grossed an estimated $4 million. In its opening weekend, the film grossed $11.4 million, more than double initial projections, finishing second at the box office behind third-week number one holder Straight Outta Compton with only 1/3 the number of theaters and twice the gross revenue per theater. In its second weekend, the film finished first at the box office with $9,480,535, and became the first film to reach the number 1 spot at the North American box office with a gross of less than $10 million since The Possession reached number 1 in its second weekend with $9.31 million during the same weekend in 2012. Over its four-day Labor Day weekend, the film posted an 18% increase with a weekend total of $13,388,558 from 1,526 screens. It still ranked number 3 in its third week, increasing its screen count to 1,647 with revenue of $7,772,485 (18% drop). It increased it screen count by 295, but dropped to sixth place to $6,215,991. Suddenly everyone wanted a "War Room" a place in their house or that special spot that is just for God and themselves where a intimate time of prayer can be had. You even find web sites where someone will tell you how to "Build Your Own War Room" (aka Prayer Closet)! Now I am not against having a prayer closet by any means. There have been times in my life where I have had very special places either in the woods or in my home where I would spend time in prayer. Just me and God. And I would encourage any Catholic who desires to take there faith ceriously to have that spot. Even as Jesus says to his disciples, "But thou when thou shalt pray, enter into thy chamber, and having shut the door, pray to thy Father in secret:"
But here is the thing. If the only time we pray is when we pray in our "closet" then we have missed the point of what the scripture is saying in its fullest sense. When Jesus speaks of going into a secret closet to seek the Father, He is talking about something much greater than a physical closet. The Power of the Secret Closet Comes, First of All, in Having a Secret Closet! Do you have a closet of prayer? I don't mean an actual clothes closet but, rather - do you have a habit of shutting yourself in with God? To have a "secret closet" means simply to be shut in with God anywhere, anytime - giving quality, chosen time to yearn after Him, seek Him and call on His name. "Prayer closet" means "prayer habit." Do you have a daily practice of getting alone with God? That is what the prayer closet is all about - practice. It is about disciplining yourself to come before God - to answer when the Spirit's wooing calls you. It means having a heart that says, "I must get alone with God - I must talk with my Father today!" Sometimes my secret closet is my car, when I'm alone. It is often my study at our House of Prayer. It is also pone of our cemetaries in Topeka, where I sometimes walk to be with the Lord. It is walking the streets in our neighborhood. The kind of prayer I'm talking about has to do with intimacy with God -- aloneness with Him! Jesus warned against hypocrisy in prayer. He drew a distinction between those who seek God in the secret closet, and those who pray so they can be seen by others as holy! Hypocrites are actors - people who act holy to receive the praises of others. Jesus said there are many such actors in His church: "And when ye pray, you shall not be as the hypocrites, that love to stand and pray in the synagogues and corners of the streets, that they may be seen by men: Amen I say to you, they have received their reward." (Matthew 6:5). Our flesh loves to be applauded and complimented. Our flesh wants our trumpet blown! "They [hypocrites] love to pray" - or so they want you to believe! They pray the rosary in church, they go to prayer novenas, they spend time before the Eucharist as long as there are others who will be there - but they have no prayer habit! They do not shut themselves up in prayer, alone with their Father. I remember hearing about one priest reputation as a man of prayer. People told me, "He prays eight hours a day." I thought, "Wow! He must be some kind of Priest. I'd like to meet him!" I did meet this man - and I sensed nothing different about him whatsoever. Then it dawned on me: If he was spending eight hours a day in prayer, people would have known it simply by the changes in his character. But there were no changes! Turns out they knew about his long vigils only because he had told them - he had, blown his own trumpet! Beloved, God does not hear even a word of the prayers of hypocrites -because those prayers were never meant for His ears! And Jesus says they have no reward from the Father! Yet in this devotion, I am not just talking about hypocrites - but about good, honest, believing Catholics. I am truly shocked at how few Catholic do not practice daily communion with the Lord. The vast majority pray only in church and at meals, with perhaps a few quick words to God before going to bed. They have no habit of prayer - that is, until a crisis strikes, and then they are quick to bow their heads! The habit of daily drawing near to God is meant for every one of us! The reason so many Catholic don't have power in their lives is because they don't have a prayer life. They pray maybe once a week, or whenever they feel like it. Dear friends, there is absolutely no power in haphazard on-again-off-again praying! "Thy Father...seeth in secret" (Matthew 6:6). God sees in secret - into the very depths of your heart! He sees your lack of interest. He sees you giving plenty of time to things you think are necessary - to friends, to wasting hours in front of a TV. And He sees you coming to Him as an afterthought - or only out of conviction or self-condemnation! The Secret Closet Is Any Place Where a Child of God Shuts Out the World - and Shuts Himself in Alone With God, to Seek Him and Pray! Jesus clearly said, "But thou when thou shalt pray, enter into thy chamber, and having shut the door, pray to thy Father in secret: and thy Father who seeth in secret will repay thee." (Matthew 6:6). In other words, when you go into your closet, don't start praying until you shut the door! This means, don't talk to your Father with a cluttered mind. Shut out all the thoughts that keep you drifting away from Him. Be awake, focused, not wasting words, not thinking of something else. You can let your mind wander when you talk with friends, or when you're on the job or in school. But when you come into the presence of the King, the Bible says, "He sees in secret!" Many people pray for long hours, yet they are powerless in their daily walk. They wonder why answers do not come, why they don't have victory. It is because they pray with their closet door wide open! They leave open the door of distractions - and God does not answer halfhearted, insincere prayers! Do you go into the secret closet and pray haphazardly for hours, what one person called, "scatter-gun-style" - never directing focused prayers, never hitting the target of God's ear, because you don't know what you want or need? Don't be deceived - it takes concentrated effort to pray! When you go into your secret closet, shut the door and take the telephone off the hook! Any child of God who sets his heart to seek the Father is going to face what I call "satanic interruptions." The devil will come to interrupt you - to get your mind onto anything except your heavenly Father. Folks, this discipline is absolutely imperative. If we are to meet with God and be heard by Him, then we have to be where He is in secret! "thy Father who seeth in secret will repay thee." (Matthew 6:6). God has invited you to come boldly to His throne of grace - and it is behind closed doors! God's throne room is not like the federal courthouse where All these people are making noice and the judge has to slam his gravel down and cry, "Silence"! When you walk into God's throne room and shut the door behind you, it's just you and the Father. You are alone in His presence - and you are His only concern! I must ask you: Do you act in your heavenly Father's presence in ways you would never dare to act before your mayor or governor or president? Let's say you were to ask the president for an hour of his time. Then, when you walked into his office, you sat there with your mind wandering, perhaps watching someone play tennis outside. How long do you think you'd last in his presence? When you go in to seek your Father in prayer shut the door so that nothing and no one can enter in -- no pride, no distractions! Shut it literally, shut it spiritually - and bring every thought into captivity to the obedience of Christ! A Prayer Closet Also Implies Quality Time! In the Old Testament, people couldn't approach the altar with a lamb that was blemished or blind or lame. They had to bring their very best to the Lord. I ask you - what kind of time do you bring into your closet? Is it your best time, your wide-awake time? Or, rather: Do you come to God weary and tired after a busy day dragging yourself into His presence with heavy eyelids? If your mind begins to wander because you're tired, simply be honest about it. Say, "Jesus, I'm too tired to pray tonight. I'm going to bed, and when I wake up I'll give You a better hour." Do you come to Him in the morning, to pray about holy things - but your mind is on the car that needs to be washed that day? Friend, your mind and heart have to be where your lips are! Isaiah spoke of the kind of "holocausts, and victims, (burnt offerings and sacrifices)...shall please me upon my altar: for my house shall be called the house of prayer," (Isaias/Isaiah 56:7). Those who bring acceptable sacrifices, God says, are those who "that adhere to the Lord, to worship him, and to love his name, to be his servants: every one that keepeth the sabbath from profaning it, and that holdeth fast my covenant:" (verse 6). This is the only acceptable sacrifice to be made at God's altar! It is not a lame, halfhearted, sleepy-eyed sacrifice - a last-minute obligatory offering. No, it comes from a heart that is consumed with love for Jesus, one that constantly cries out, "God, I come to You today to know You. I want to be led, corrected and instructed by You. I want to learn obedience, to understand Your ways. I want more of You!" Those who bring such sacrifices, the Lord says, "I will bring them into my holy mount, and will make them joyful in my house of prayer:" (verse 7). He will hear our prayers - and He will bring us to a place of holiness, joy and power! The Secret Closet Is a Place Where We Come With All Our Heart! "Blessed are they who search his testimonies: that seek him with their whole heart" (Psalm 118/119:2). Once you have established a habit (a prayer closet) and have shut out all distractions, God desires for you to seek Him with all your heart: "And when thou shalt seek there the Lord thy God, thou shalt find him: yet so, if thou seek him with all thy heart, and all the affliction of thy soul." (Deuteronomy 4:29). "In the latter time thou shalt return to the Lord thy God, and shalt hear his voice. Because the Lord thy God is a merciful God: he will not leave thee, nor altogether destroy thee, nor forget the covenant, by which he swore to thy fathers." (verses 30-31). Moses warned, "No matter what you're going through, don't murmur or complain. Don't turn to man or to the flesh. Turn to the Lord, and seek Him in prayer! He promises that if you'll just seek Him with all your heart, He will see you through." Being in the closet means coming before God for only one purpose: to pour yourself out! It means that everything in you reaches out to God - all your heart, soul, mind and strength. Sometimes you can do this without a word. All that matters to your heavenly Father is that you come to Him with your all! Jesus Promised a Reward: Order to Your Life! Jesus said that when we go to our secret closet - shutting out all distractions and opening ourselves totally to God - our Father will reward us openly. "thy Father who seeth in secret will repay thee." (Matthew 6:6). There is a Good News for Everyone Who is Determined to seek the Lord! "And the plains shall be turned to folds of flocks, and the valley of Achor into a place for the herds to lie down in, for my people that have sought me." (Isaias/Isaiah 65:10). Yet those who do not seek God will be empty, famished, dry - wandering about, looking for a shepherd, hungry and never satisfied. The Scripture says they "shall be hungry ... thirsty ... confounded. (But) my servants shall eat ... drink ... rejoice ... sing for joy"(verses 13-14). Those who are shut in with God - pouring out their soul to Him, seeking Him in everything - will have power, authority, spiritual strength, food for soul and mind. They will be led by God into a place of spiritual rest and fullness! Yes, there is rewards to be found in seeking God. There is the reward of being more alert to what is happening around you and to understand what it is tht is happening: " they that seek after the Lord, take notice of all things." (Proverbs 28:5). Keep seeking, praying - and God will give you an understanding of what you are facing! Psalm 90/91 is many believers' favorite passage of Scripture. What great promises are found here! The entire psalm is a revelation of the delivering, keeping power that comes from living in an attitude of seeking God. The person who lives in this habitation of prayer will have power over all demonic snares, all fear, all sickness and plague - power to prevail and bring forth results in prayer! But there is a condition for all this. It is found in verse 1: "He that dwelleth in the aid of the most High, shall abide under the protection of the God of Jacob.." "Dwell" means "to live." 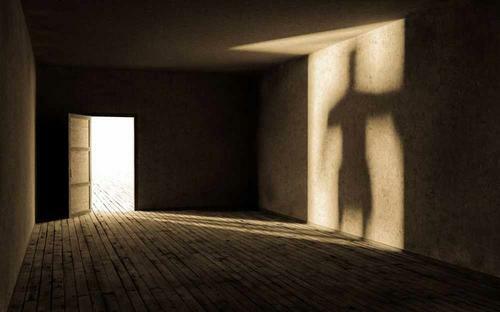 Do you live in your prayer closet - in the secret place of the Most High? Is it your home at any time of the day? "Does this mean I need to be shut in with God all the time?" In a manner of speaking, yes! St. Paul said we are to pray without ceasing. And David said, "Seek ye the Lord, and his power: seek ye his face evermore." In other words continually (1 Paralipomenon/1 Chronicles 16:11). This is why I say that there are Catholics who need to come out of there closet. That one or even three times a day that you say the rosary is not enough! That time alone for possibly an hour with God before the sacrament is not enough! We should be praying, we should be seeking after God at all times in every situation that we are in. Not just in our closet. But continually hour by hour. Please do not get me wrong. I am not against the rosary or an hour before the blessed Sacrament. I do it almost every day. But to become a Saint we must be in an attitude of hourly seeking out Gods mind, seeking his direction moment by moment, praying without ceasing. In your every waking hour, let our minds be stayed on God. Communing with Him. Yearning after Him at all times. All through the day, in everything, calling upon Him. Dear Catholics, let us not stay in the closet. But let us come out of the closet. And what we are doing in the closet, let it be what we do outside the closet!